When you are first bringing your property to market or when you have a vacancy at your existing rental, you need to set a price for your rental. There are several factors to consider that can help you set the right price for your unit. The right price will attract prospective tenants to your property and will generate some income for you as well. 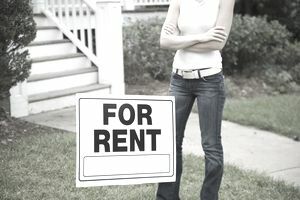 Prospective tenants are usually willing to pay more for rentals in new construction buildings. You may even want to go check out some of the apartments in person and compare them to your unit. Ask the landlord if there is a lot of interest in the property. Keep in mind that many property owners, especially those with large mortgages or construction loans, do not see an actual profit until they sell their property or until they have owned the property long term. Regardless, if the unit is not benefiting you in some way each month (paying down your mortgage, reaping tax benefits, putting money directly in your pocket), you have not set the right rent, or worse yet, you have over-invested in the property. Setting a price for your rental is not a one time event. You must constantly look at the market and adjust the rent based on demand.